Rabbi Avrohom Nison Perl, Agudah’s Torah Projects director reporting: myriad Torah shiurim and events. Flagship program Yerushalayim Yarchei kallah. L to R: (Top Row): Leah Zagelbaum, Rabbi Shai Markowitz, Rabbi Yitz Frank, Rabbi Yitzchok Ehrman, Rabbi Yeruchim Silber, Mr. Avrohom Weinstock, Esq., Rabbi Moshe Matz, Rabbi A.D. Motzen, Rabbi Shlomo Soroka, Rabbi Avi Schnall, Rabbi Ariel Sadwin; (Second Row): Mrs. Leah Steinberg, Rabbi Abba Cohen, Rabbi Shmuel Lefkowitz, Rabbi Chaim Dovid Zwiebel, Rabbi Avi Shafran, Rabbi Labish Becker. 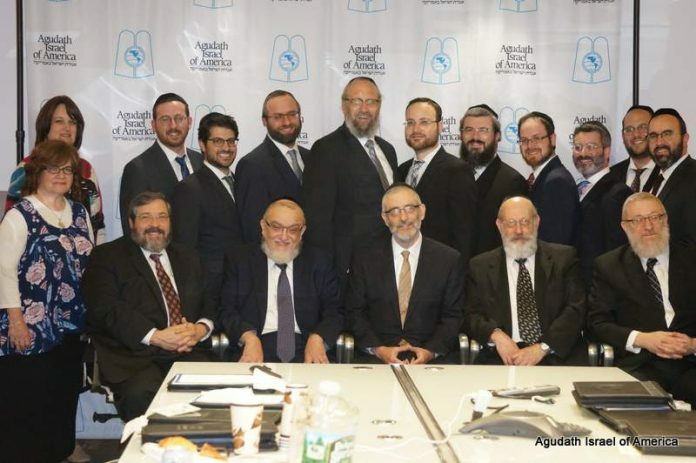 Holmdel, NJ — Agudath Israel of America, American Orthodoxy’s leading voice, held its staff retreat this past July 25-26 at the futuristic Bell Works commercial hub in Holmdel, New Jersey. 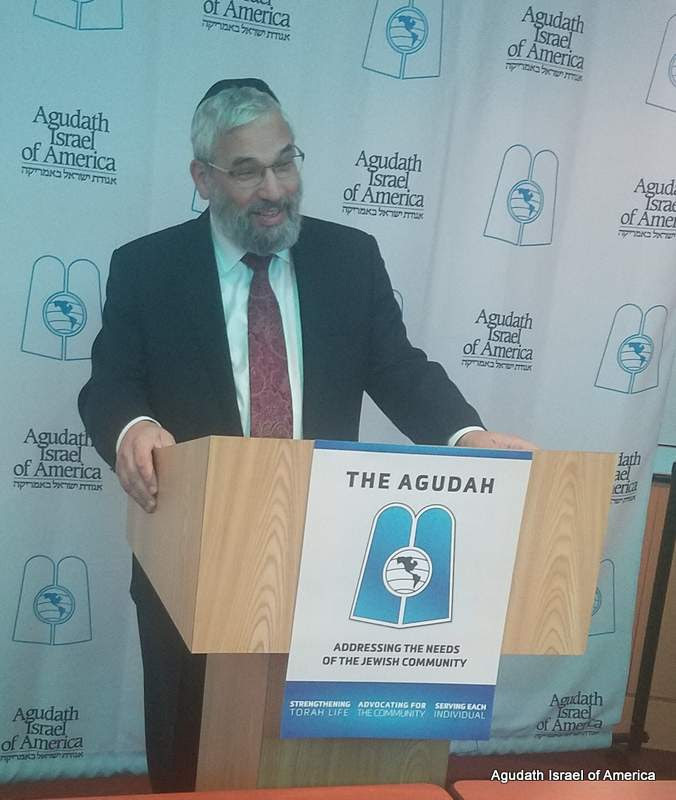 The full two-day conclave brought Agudath Israel leadership and staff from headquarters, affiliated divisions, and regional offices nationwide together with peers. Participants enjoyed a comprehensive and coordinated snapshot of Agudah’s every component and department, built camaraderie, shared achievements and planned for the future—all in an atmosphere charged with the cause of helping Klal Yisroel. 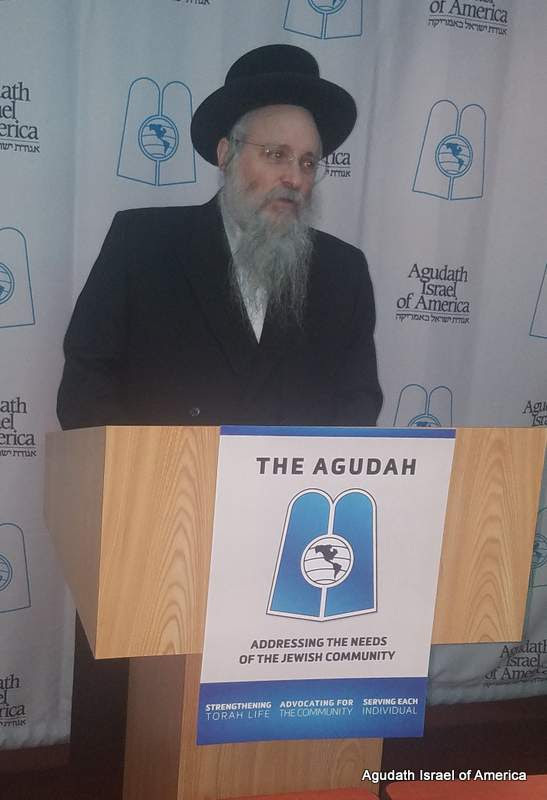 “Agudas Yisroel feels a unique achrayus for Klal Yisroel,” said guest speaker Rav Yerucham Olshin, Rosh HaYeshiva of Lakewood’s Beis Medrash Govoha. In his chizuk address, Rav Olshin spoke powerfully about Agudath Israel’s ongoing role championing Torah and community issues. Rav Olshin also spoke movingly of how his own parents, young European immigrants in pre-War New York, found a haven in so many ways in the Aguda of those formative days. 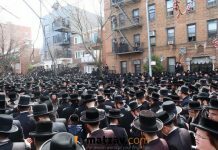 As a young bochur in the late 1920s, the Rosh HaYeshiva’s father received critical spiritual and moral support from Brooklyn’s early and energetic Agudah contingent, while the Rosh HaYeshiva’s mother drew regular inspiration from Agudah’s local Bnos. Special guest and modern press legend Seth Lipsky capped the first day’s dinner with a question-and-answer session on perceptions of the Orthodox Jewish community in the secular media, and how to negotiate those perceptions. Mr. Lipsky is the founder of the New York Sun and the English-language version of the Jewish Daily Forward, and veteran of the Wall Street Journal, among others. He walked a rapt audience through an insider’s view on the modern media world, from old-school print institutions to cutting-edge online outlets and social media—and how to best get the most positive, proactive Torah messages to each. 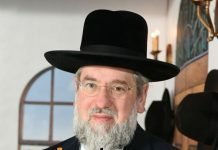 Mr. Lipsky also expressed a debt of gratitude to Agudath Israel and Rabi Chaim Dovid Zwiebel, its executive vice president, for a still-growing relationship. wow, so many chiefs, any Indians? I take it that you’ve never been to an Agudah Convention, or a Yarchei Kallah in Yerushalayim. You don’t daven in an Agudah shul, or send your kids to Camp Agudah or Camp Bnos. You don’t learn Daf Yomi, or attnd any Agudah sponsored shiurim. 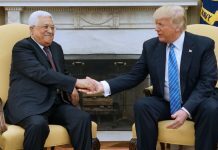 But if you’re a school administrator, and you need some help with government officials, you know who to turn to, even though you’ll never acknowledge the fact, or express “hakaras hatov”. I guess I need to express my thanks for them supporting bill Deblasio by them serving on his tuma transition committee with so called transitioning people. 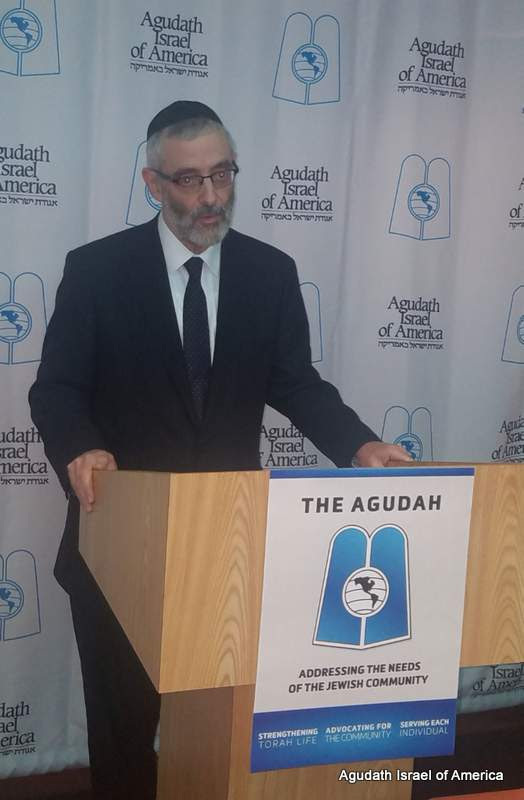 By the way there are more young Israel’s than agudahs and the aguda serves in the Zionist knesset.